Rabbi’s “Look Up” Sermon Reminds that Attitude Essential in Life and Business – StratGo Marketing. Plug-in marketing department services. What does a Rosh Hashanah sermon have to do with marketing and business? 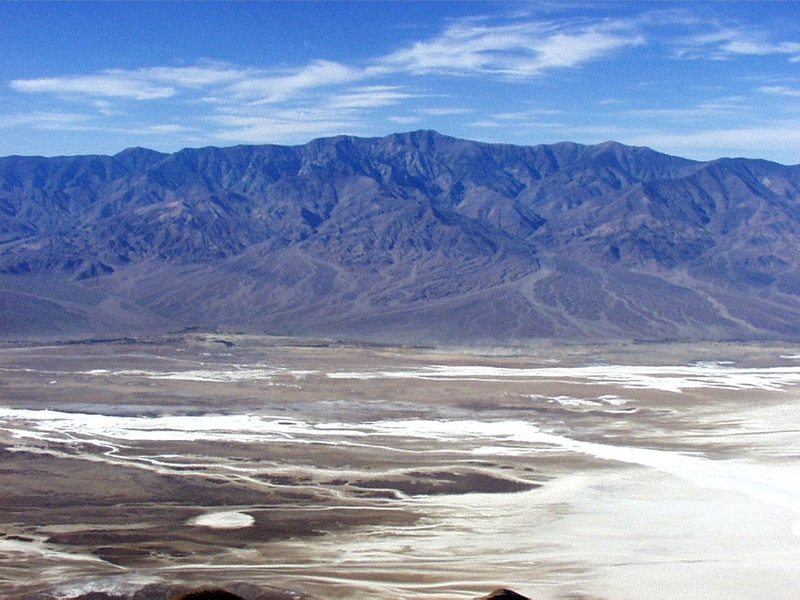 Looking from Dante’s View across the Badwater Basin salt pan to Telescope Peak, 11,049 feet, at the top of the Panamint Mountains. Photo Credit: National Park Service. At Dante’s View in Death Valley National Park (CA), it’s possible to see both the highest point in the contiguous United States (Mount Whitney) and the lowest (Badwater). Rabbi David Nesson described this geological marvel in his Rosh Hashanah sermon. Noting the volatile, dangerous world in which we live, and in the religious/spiritual context of the new year, he identified a life-management choice. We can either Look Up or Look Down. No surprise that he encouraged Look Up. It’s a powerful idea with significant personal meaning. And, it definitely applies to the business world as well. Outlook and attitude make a difference in life and in business. An enthusiastic, can-do approach is positively contagious across the organization. It’s much more fun and productive to work in that kind of environment. Unfortunately, the opposite is also true. To be clear, I’m not talking about some nirvana-esque approach. Professional, direct talk and getting issues out in the open for debate and action are critical success factors. At the same time, so too is the ability to constructively work an issue or build on ideas to explore possibilities. That’s why a Look Up mentality is so important. Consider how we react in meetings and small conversations when discussing and evaluating ideas and initiatives. Too often the comments “not a good idea” and “won’t work”are quickly uttered without much explanation or thought about what would have to happen to make it work or make it better. Look Up is a shorthand way to remind everyone to think and act differently. Offer suggestions, ideas for improvement and problem-solving recommendations – don’t just complain! At Dante’s View in Death Valley National Park, it’s possible to see both the highest and lowest points in the United States. A Rosh Hashanah sermon that encouraged a “Look Up” personal mindset also offers a powerful tonic for business success. HI Harvey, It’s almost Yom Kippur so I will wish you a meaningful fast.